Want to become an ASA member and qualify for this unique trip? Join us for our 7th Annual ASA Flotilla! 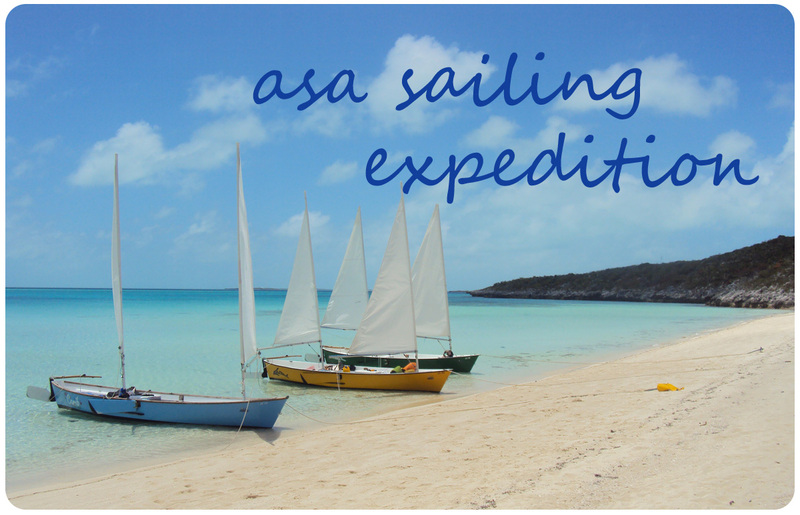 Spend 6 days/5 nights on the water exploring the Exuma Cays with fellow ASA Members. Sail your own 21' Sea Pearl around the beautiful cays while exploring caves and grottoes, stargazing, bonfires, great food and all the while improving your sailing techniques. Price includes a meet and greet group dinner the night before (Apr 8th) you set sail, all meals & beverages during the trip, boats, camping gear, snorkeling gear, support boat with staff, group lodging* last night (Apr 15th) in Staniel Cay and a charter flight from Staniel Cay to George Town Airport (in the morning on Apr 16th). This trip reaches as far North as Staniel Cay in the sailboats, and usually a day trip by motor boat into the Land and Sea Park a little further up the cays. For a detailed itinerary of this trip, click here or contact us. Reserve your spot now, these trips fill up fast! *Group lodging in Staniel Cay may have you rooming with various members of the group. Lodging on Staniel Cay is limited and will depend on availability. NOTE: This is a challenging, strenuous activity in a very remote area.